This past spring our friends Jill and Guri secured a table at Talula’s Table, one of the most difficult dinner reservations to snag in the entire country. There was seating for eight, and we were elated to accept their invitation to take two of those spots. About a month out, the restaurant emailed the menu and we immediately commenced drooling and dreaming. Spring vegetable fricassee sprinkled over goat’s milk panna cotta with toasted honey wheat, popped sorghum, and local vinegar — that’s just course one. We were in for several hours of delicious, inventive, inspired food. On the night of the dinner, we arrived on the dot, not wanting to miss a single moment (or a single appetizer) and enjoyed four hours of food bliss. Small plates, glasses, and fun accompaniments arrived and were whisked away at just the right moments. We savored every course — olive oil poached halibut and bloomy cheeses with savory huckleberries and burnt honey (okay, back to drooling again). The dinner was creative, fresh, and maybe most importantly, nothing we could have cooked up on our own. It was truly special. So much of food preparation these days is an opening of a package, a slapping together of a few too heavy or too sweet ingredients, a lack of finesse — this is true even in many restaurants. We aren’t always accustomed to finding such care, such intentionality in a meal, or really much else in our culture. Our culture tends to aim for quick and efficient, for satisfying at the most surface level. And it’s so easy to fall in line with this way of life. We thoughtlessly bypass the best for the easiest, the instant gratification. We do this when we choose fad diets over a healthy lifestyle. We do this when we swipe our credit card for a cute new sweater. And we do this when we seek security and approval through what we can earn and accomplish. We do this all the time, don’t we? Rather than trusting in God, “who holds the whole world in His hands,” we place our hope in just about anything else. We may not have idols in our homes, but we certainly have our own cheap figurines. We place our faith in our appearance, our degrees and positions, in big houses, full closets, fancy vacations, and social status. But these trinkets won’t save us — and chasing them robs so much of our energy, joy, and contentment. In contrast, if we hold fast to God, He promises to rescue us, to put us right — secure, valued, at peace. Our energy won’t be sapped and we’ll reclaim our joy. In fact, Paul says that the person who is put right by trusting God “really lives” (Romans 1:16-17 MSG). This is what it means to get what we really want, our deepest, truest desire — when we bypass the cheap knock-offs for the real thing. God is our Creator, Sustainer, the author of our lives. When He declares “this way is best,” we should listen. We’re foolish to trade out the Creator’s best for the path of least resistance. 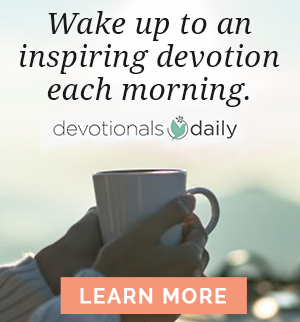 Our God relates to us with wisdom, intentionality, and great care. His desires for us are for us. 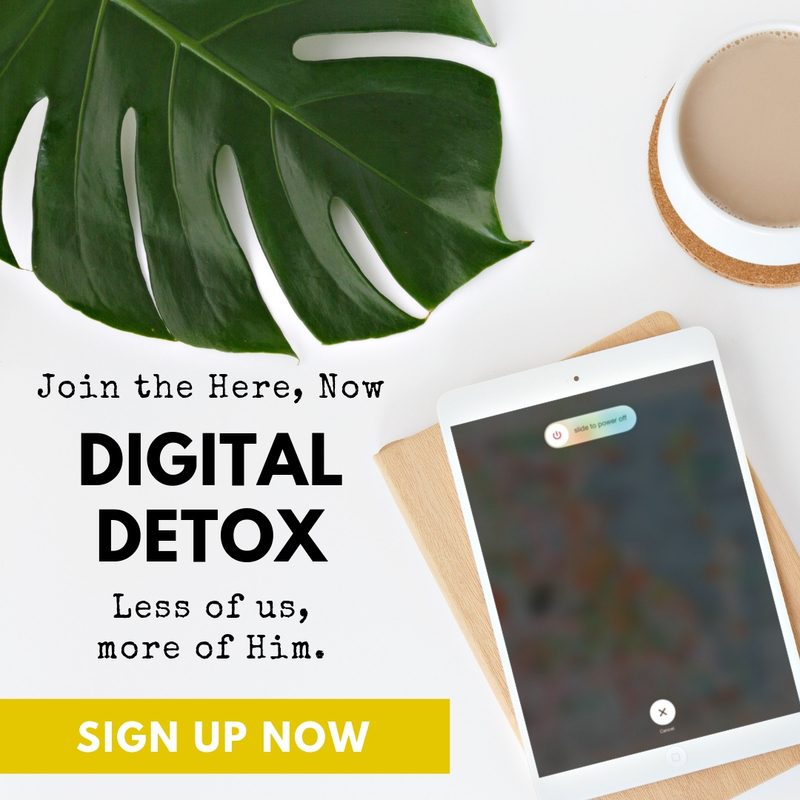 He doesn’t call us to anything just to make us jump, to beat us into submission. God isn’t on a power trip. He invites us to trust Him, to rest in Him, to rely on Him because as our Creator, He knows what’s best. When we choose to rely on ourselves, working day and night, scrambling to get all we can, shuffling from event to team to practice to lesson, we are bound to run ourselves ragged. This isn’t about being punished, it’s about natural consequences. When we rest in God’s care, it brings about a healthy life, a full life. Whereas all that self-sufficient striving leaves us beat up. Could it really be that easy? Let’s release the pressure to succeed and receive the best life God has carefully crafted for us. God’s promise to put us — and everything — right is based on Him and His work. It’s not based on what we do or accomplish, or how perfect we try to be. He dared to trust God to do what only God could do. 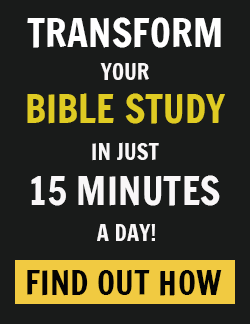 Paul tells us that Abraham’s extraordinary life is a God-story, not an Abraham-story (Romans 4:2 MSG). This idea applies to you and me too. I want to live an extraordinary life — but I’ve been going about it all wrong. I’ve been trying to secure my own place rather than resting in the one God’s already made. I’ve been running myself ragged to create a life — ironically sapping the life right out of myself. It’s time that I recognize my life as a God-story, not a Jen-story. It’s time to give up the striving and trust that our author and Creator knows best, desires the best, and will bring out the best in this story. 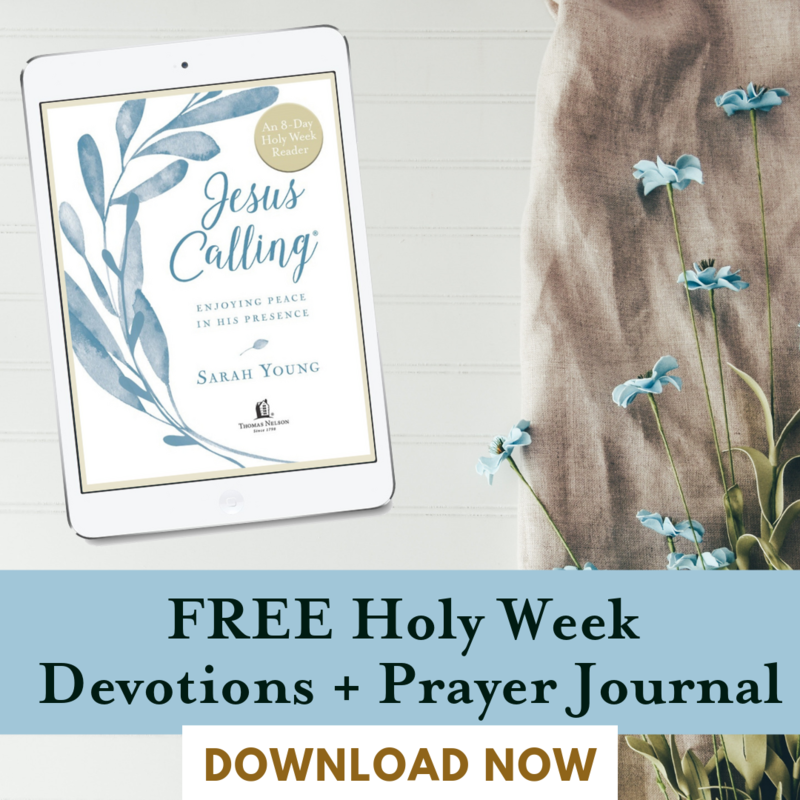 LOOKING INWARD: Have you been living a God-story or your own? What do you think are the key differences? Do you trust that God’s desires for you are in your best interest? What makes you doubt that? LOOKING UPWARD: Pray to God, committing your life as a God-story. Confess your doubts and fears, your striving and bent toward self-sufficiency. Acknowledge that His ways are the best ways — that His desires for you are for you. Thank Him for His goodness, care, and intentionality in your life. LOOKING OUTWARD: Draw two columns in a journal or on a scrap of paper. On the left, make a list of the signposts of a God-story. On the right, make a list of signposts of a self-story. Underneath, write a brief description of what this means for you, personally. Include specific actions or thoughts that might indicate that it’s time for contemplation, confession, and recommitment. 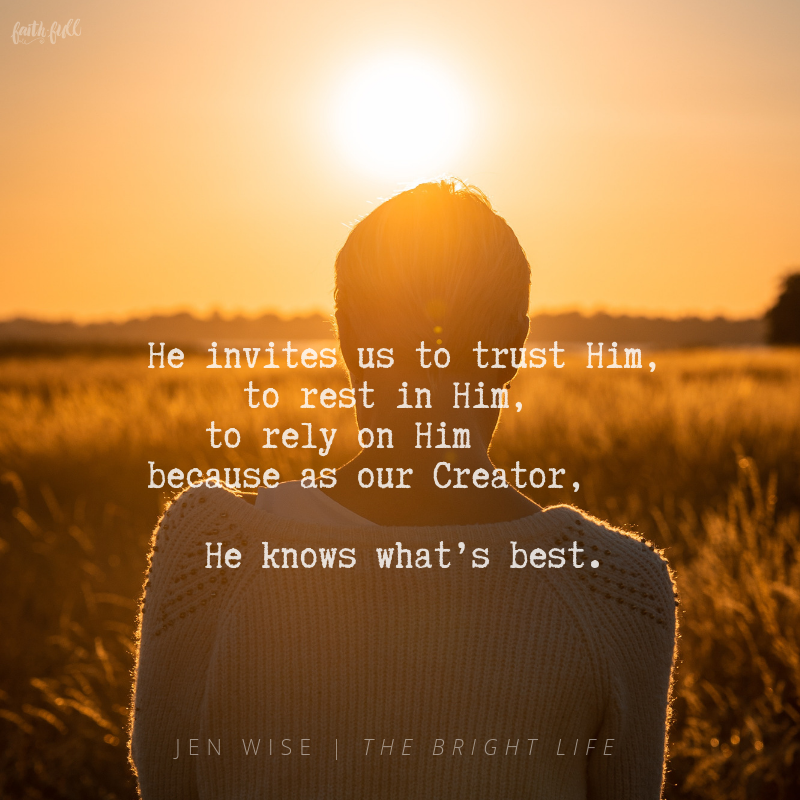 Excerpted with permission from The Bright Life by Jen Wise, copyright Jen Wise.